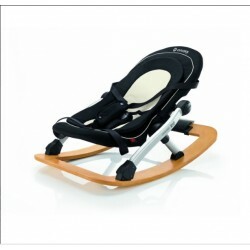 The Concord Rio bouncer features 4 different seating and reclining positions. Stylish and functional, with a mix of crafted wood and aluminium, it folds easily for storage. The high quality Dark knight padded cover is soft and comfortable, with an integrated removable insert.